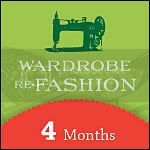 Wardrobe Refashion is a community which has had an online presence since early 2006. Based in Melbourne, Australia, owner Nichola Prested started up the site after deciding to quit buying new manufactured clothing in a bid to do her part for the planet, save money and improve her sewing skills. Participants of the blog pledge to abstain from the purchase of new manufactured clothing for the period of 2, 4, 6 months or LIFE. They pledge to refashion, renovate, and recycle preloved items with their own hands in fabric, yarn or other medium or make their own from scratch. 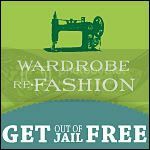 Those who fall off the wagon must confess on the blog by displaying a ‘Get out of Refashionista Jail FREE’ card. 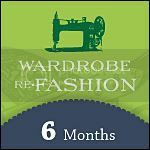 Wardrobe Refashion averages around 20-30 new posts per week with approximately 65,000 page views per month. The majority of readership comes from the USA, then the United Kingdom, Canada and Australia respectively. 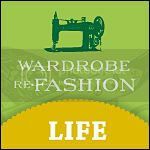 Wardrobe Refashion has had much media attention since its beginning which includes prominent newspapers in Australia and the UK, magazines, books and websites. Nichola Prested is the founder of Wardrobe Refashion. Originally from the UK Nichola relocated to Australia in 2004. After working many years as a patisserie chef she turned her attention to her hobby of sewing soon after the birth of her first daughter. Nichola is an active member of the blogging community with her personal craft blog Nikkishell. She works with BurdaStyle as their Australian team member and is one half of the successful zine Mixtape. Nichola resides in Melbourne with her husband, and three young daughters.